New Place, New People, Same…Well, Me? Hello, friends, family, prospective students, and (of course) esteemed academics around the world – My name is Jake Camarillo and I am a native of Tucson, Arizona; located in the southwest region of the United States. I am currently a political science major and education studies at Middlebury College in Middlebury, Vermont; roughly 2 hours from the Canadian Border. It’s interesting, I am commonly asked what exactly influenced me to venture from one extreme, the 110°F weather in my hometown, to the other, the sub-freezing temperatures of Vermont. For me, there exists only one answer: the people. Since I was very young, I have always enjoyed the social aspects that came with my education. I could not wait to wake up, get on the yellow school bus, and introduce myself to anyone and everyone. Furthermore, when it came to choosing a college, I wanted something new and different. I wanted to meet people with differing perspectives and came from a variety of places. For this reason, I chose to pick up and head to the opposite side of the country – a decision I regard as my greatest to this date. I find this theme extremely relevant in my choice to come to Stockholm, Sweden for the semester! Where else could I have found a socially democratic political system- the polar opposite of what exists in my home country- as well and a social system rooted in ensuring the equality of everyone? With this question in mind, I know that Sweden is and will be the perfect fit for me. DIS Stockholm has done an amazing job exposing me to both of these characteristics thus far! Through my core course of Gender, Equality, and Sexuality in Scandinavia I am being educated in a subject area that is completely foreign to me. I am learning about how all three of these concepts has entered Swedish society and helped shaped it. Furthermore, each day I am able to step outside the classroom and experience these components first hand; a luxury I find unbelievably rewarding. 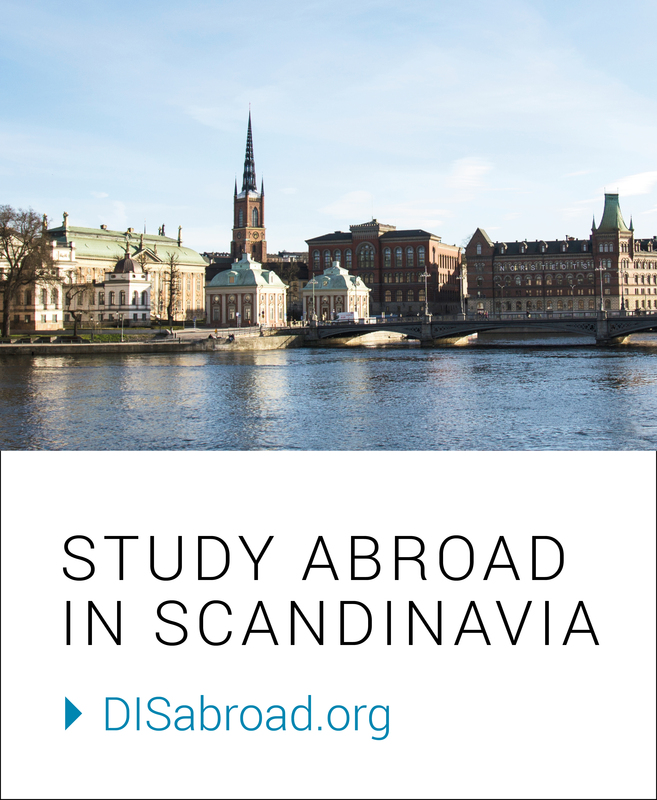 My core course is supplemented by the classes Swedish Politics and Society, Terrorism and Anti-Terrorism, Scandinavian Crime Fiction, and Swedish Language and Culture – each, in their own way, catering to my hopes and interests for studying abroad. I have found all of them overlapping in the most strategic ways; making it fun and easy to apply what I am learning in one class to other courses, as well as in everyday life! Returning to my original point about my love of meeting others and socializing, I have had a truly remarkable experience in doing so. I have found no problems picking the brains of the Swedes I pass on the street each and every day. Whether it is talking politics (Swedes LOVE the drama surrounding the upcoming presidential election and are fascinated by Donald Trump – something I wouldn’t have guessed before touching down here) or simply asking for directions, I find that everyone is soooo friendly and helpful. I understand my experience, in the short three weeks I’ve been here, may be vastly different than that of my classmates, however, I feel so lucky that it has been a positive one- exceeding all of my initial expectations. I cannot wait to see what this semester holds for me and the rest of my fellow student here at DIS Stockholm. Mom and Dad, if you are reading this, thank you so very much for gifting me with an open mind. It is this foundation that has allowed me to meet the challenges of being in a foreign country, away from home, and in a place very different than Tucson. I cannot express how thankful I am to have this opportunity and will treasure it for the rest of my life! Like I told you, I love making friends… What better way to do so than taking a leisurely stroll by the water on a beautiful day? Not too shabby, huh? Drottningholm Palace would be quite the place to live as part of the Royal family.